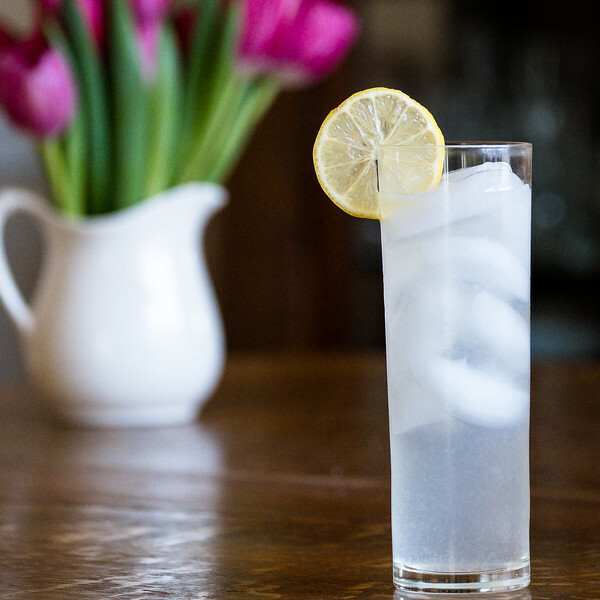 The Tom Collins is a classic cocktail that is refreshing and delicious! Gin, lemon juice, sugar and carbonated water are all you need to make this! 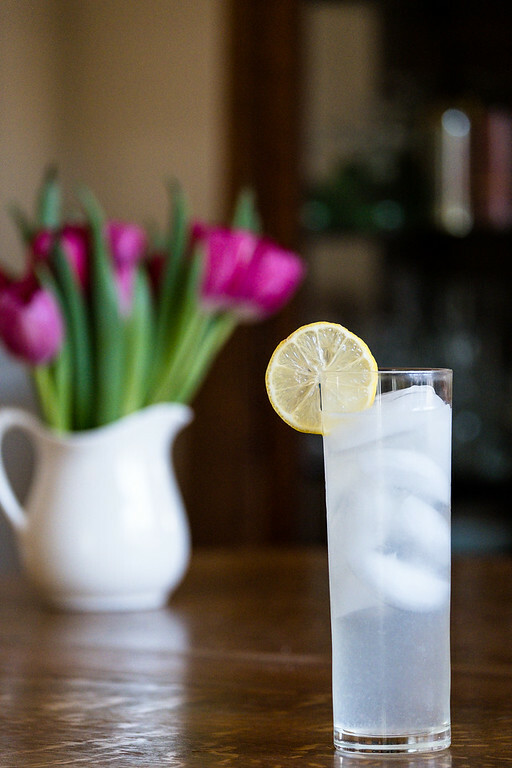 Click here to pin this Tom Collins now! Why is it Called a Tom Collins? Raise your hand if you thought there was a man named Tom Collins who invented a refreshing gin cocktail and called it after himself? Yeah, me too. 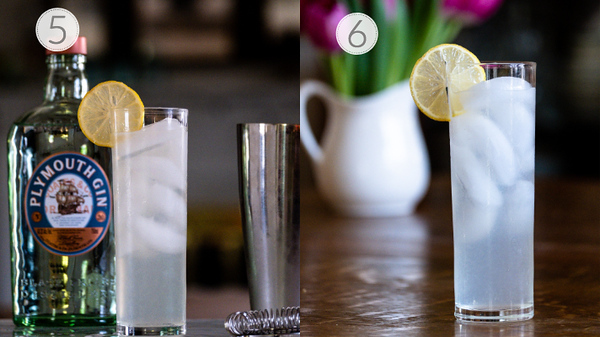 Turns out that it’s not so easy to come to a consensus of how the Tom Collins got it’s name. There are several theories floating around. According to The Spirit of Gin by Matt Teacher, one story was the cocktail originated from a bartender named John Collins. Later the gin in the original cocktail was replaced with Old Tom gin and was then called a Tom Collins. Others believe that the drink originated from “The Great Tom Collins Hoax of 1847.” This was a prank where you would tell someone that “Tom Collins” had been spreading nasty rumors about him. The pranked person would then go searching for this “Tom Collins.” A bartender developed a drink called the Tom Collins and when the pranked person walked into the bar looking for a Tom Collins, he was basically ordering a drink. How ever it got it’s name, it’s a classic cocktail that is worth knowing how to make! There are only 4 ingredients in this classic gin cocktail. Gin – to make a classic Tom Collins you should use an Old Tom Gin, which is sweeter style that originated before a London Dry. We are using a Plymouth Gin, which has more citrus notes. Lemon Juice – fresh squeezed – do not use bottled. Simple syrup – a ratio of half sugar and half water that has been heated until the sugar dissolves. Can be stored in the fridge for about a month. Carbonated Water – we use carbonated water that we make in our Soda Stream. Note – some recipes use sugar cubes instead of simple syrup. I am using a version of the recipe that I found in one of my favorite cocktail books: The New Cocktail Hour by Andre and Tenaya Darlington. 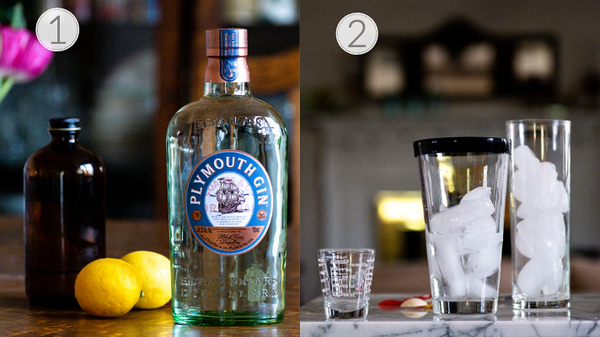 Step 1 – Gather your ingredients – simple syrup, lemons and gin. Step 2 – Fill a cocktail shaker and a tall collins glass with ice. 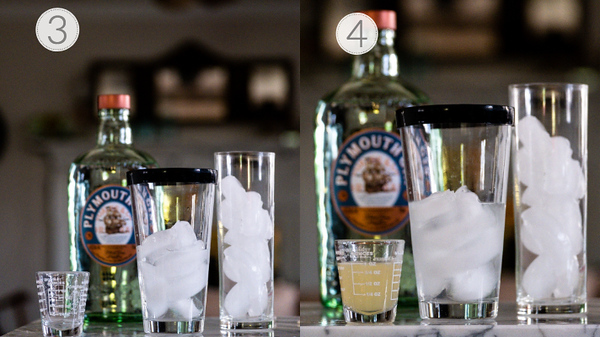 Step 3 – Add 2 ounces of gin to cocktail shaker. Step 4 – Add 1 ounce of fresh squeezed lemon juice to cocktail shaker. Step 5 – Shake and strain into the collins glass. Top with carbonated water. Step 6 – Garnish with a lemon slice and enjoy! What Does a Tom Collins Taste Like? This was so good! I admit it, I am a Gin and Tonic woman. It’s my drink of choice, so it’s been awhile since I’ve had a Tom Collins. I forgot how refreshing it is. You can taste all of the components. You get the flavor of gin and lemon juice and some sweetness. It’s the perfect blend. I might try using some Rosemary Simple Syrup or Ginger Simple Syrup to change it up a bit. They both sound good, don’t they? This Sloe Gin Collins is so pretty and tasty! How about a sparkling French 75 Cocktail? The Last Word is another favorite classic gin cocktail. If you make this Tom Collins, be sure and let me know! This classic gin cocktail contains only four ingredients and is refreshing and delicious! Fill a cocktail shaker and a tall glass with ice. Add gin, lemon juice, and simple syrup to cocktail shaker. Shake for about 10 seconds and strain into ice filled tall glass. Top with carbonated water and garnish with a slice of lemon. Gin - to make a classic Tom Collins you should use an Old Tom Gin, which is sweeter style that originated before a London Dry. We are using a Plymouth Gin, which has more citrus notes. Lemon Juice - fresh squeezed - do not use bottled. Simple syrup - a ratio of half sugar and half water that has been heated until the sugar dissolves. Can be stored in the fridge for about a month. Carbonated Water - we use carbonated water that we make in our Soda Stream. What a refreshing drink, it can also be used in any diet plan. I know! It’s fun reading about things like that! I’ve never actually had a Tom Collins! Pinning this one to try this weekend, sounds delicious! It is and it’s so refreshing! Perfect way to start a Friday! This is a great summer cocktail! so refreshing! It is and I like it year round! Looks like a great drink! I also love your photos!